An anti-Muslim display in the West Virginia Capitol rotunda Friday led to a shouting match among legislators. It happened at the Briggs Lawrence County Public Library in Ironton, Ohio. The planned walk-in will happen on Jan. 9 -- the same day that lawmakers head back for the 2019 legislative session. It's also the same day that Gov. Jim Justice will give his annual State of the State address. Students say Principal Reva Wallace called students out by name at a school assembly if they were not properly vaccinated. They say Wallace made the students walk down the bleachers and exit the school in front of everyone. 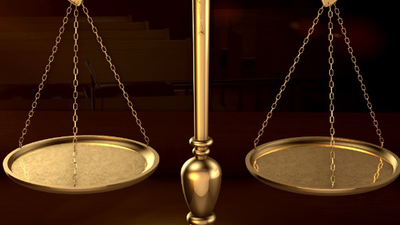 Investigators say the man, who at the time was employed as a West Virginia Child Protective Services employee, also threatened police officers during the course of the investigation. The ruling reinstated an October 2016 jury conviction on 11 charges against cardiologist Richard E. Paulus. Thursday, Ellen Allen, Executive Director of the Covenant House, released a statement critical of the Charleston Police Department's method of dealing with the problem. The Trump administration's support may not be enough to save a struggling coal-burning power plant in Arizona. Four U.S. officials said Russia's signal scrambling has seriously affected military operations. The West Virginia State Police Academy showed off its new physical training center Tuesday. 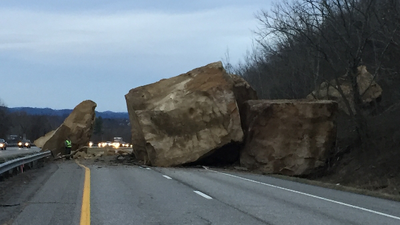 The huge boulders, smaller rocks and trees came tumbling down just before 7 a.m. Monday. According to the proposed legislation, the course would be an elective on Hebrew scriptures, or the Bible. Justin Albert, 31, and Kenneth Dean Jr., 39, were arrested Friday evening. A grant of $250,000 will go toward buying new equipment for the Huntington Police Department, including ballistic shields, computers for investigators, cameras, a portable fingerprint scanner, and more. China Energy Investment Corporation Limited has signed an agreement with the West Virginia Dept. of Commerce on an $83.7 billion plan. The DHHR tells WSAZ three people went to the hospital, and all three, based on record review, reported they consumer raw milk. A media company whose reporter was arrested in West Virginia while questioning U.S. Health and Human Service Secretary Tom Price is calling for the charge to be dropped.